Mojang, the developers behind Minecraft, have made big changes to its policies on companies being able to promote their products using Minecraft. It could make a video like this, depicting a Verizon cell phone, a thing of the past. In a blog post titled “let’s talk about promotions in Minecraft,” Mojang said it wants to continue to “empower [Minecraft’s] community to make money from their creativity” but isn’t happy when an “unrelated product becomes the purpose of a Minecraft mod or server.” This is meant to curb some of this. And while fans are allowed to build whatever they want in Minecraft, even a virtual McDonalds, they cannot accept money from McDonalds in order to build it. They’re only allowed to make money from monetizing the video on YouTube. In the video’s description, it mentions it’s “sponsored by Verizon.” Though it doesn’t outright say money exchanged hands between CaptainSparklez and Verizon, it’s likely. Given this video would seem to fall under Mojang’s idea of “companies or organisations that are using Minecraft to sell their products or promote their causes,” CaptainSparklez couldn’t publish this video anymore. Mojang didn’t respond to my request for comment or clarification on this. 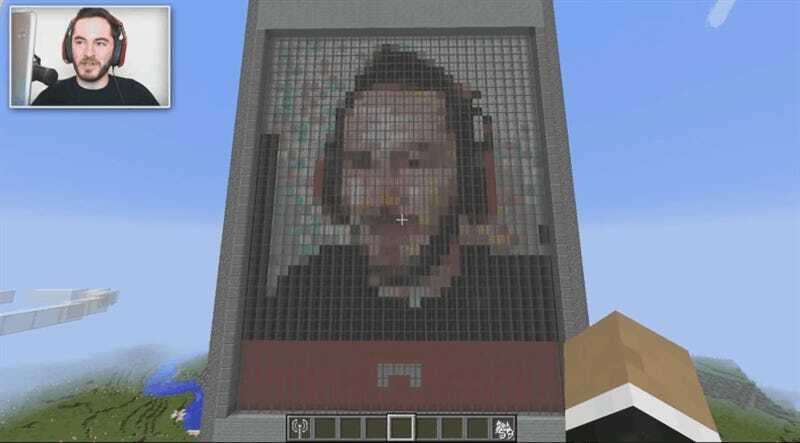 Though the world might not miss a Minecraft cell phone gimmick, there are tons of creatives who make their living (or part of it) by using Minecraft as an art tool. Fans immediately started worrying about their favorite artists when Mojang published this tweet today, wondering if a source of income was disappearing. SethBling also published a Verizon-sponsored Minecraft cell phone video. Dragnoz is a well-known Minecraft creator, having frequently collaborated with BlockWorks, a group dedicated to building massive worlds within Minecraft. A number of bigger Minecraft creators, including Blockworks, have not yet publicly commented on the changes. Polaris, a subsidiary of the Disney-owned Maker Studios, didn’t respond to my request for comment, as of this writing. It’s possible many folks are waiting to see what the fallout of these changes truly are. Right now, that’s a little unclear, and that’s making people nervous.